Please join SNAG in welcoming our new Metalsmith magazine intern, Colleen Terrell. Colleen is currently an M.A. student at the Bard Graduate Center in New York, NY. 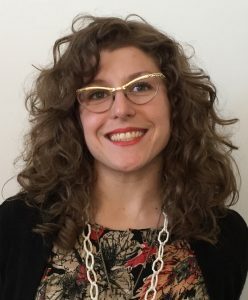 With a graduate degree in Comparative Literature from the University of Pennsylvania, for the last decade she has worked as a grant proposal writer for nonprofit organizations in Philadelphia. Now she’s making the jump to a different kind of writing: at the BGC, she’s building a foundation from which to write and report about craft. As an intern at Metalsmith magazine, Colleen is learning first-hand about what that kind of writing involves, while building her knowledge of the jewelry and metalsmithing fields. 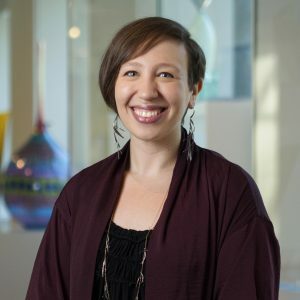 Deep familiarity with Metalsmith also will help her frame her master’s research at the BGC on the role that professional publications played in supporting the post-war studio craft movement. Colleen’s parents are metalsmiths, so in some ways, her internship with Metalsmith is also a return to familiar territory; the magazine has been regular reading in her family’s home for decades. For Colleen, though, words are the chosen medium, and she looks forward to forging her own path, finding and sharing stories about objects and their makers. SNAG would like to share a big thank you and farewell to our long-time Metalsmith Editor, Suzanne Ramljak. 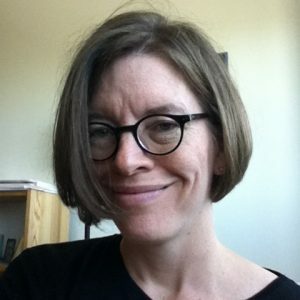 In the fall of 2000 Suzanne Ramljak took over as the Editor of Metalsmith magazine, and our field and SNAG are both immeasurably better for it. In her seventeen years at the helm of the magazine she has edited, organized, curated and herded the cats to put together 87 issues. In doing so, she set the benchmark for critical writing in the craft world. Suzanne was hired during my tenure as SNAG President. As I recall, hers was the first application we received, arriving two days after the job was posted. Until then we’d worried whether we’d find anyone qualified. Now here I was looking at a Fed-Ex envelope with a return address bearing the name Suzanne Ramljak. My fears dissipated at once. Not that we’d ever met. But I was intimately familiar with Suzanne’s work as editor of Sculpture magazine. I had also been very impressed with a critical essay she’d written for an exhibition catalog about the jewelry of Daniel Jocz. 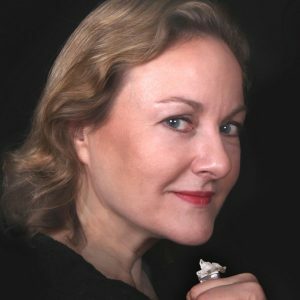 In my mind, Suzanne was the Holy Grail of editors, someone from outside our field with a deep knowledge of contemporary art, art history, sculpture and critical writing, but also someone with demonstrated interest, understanding, and appreciation of our small corner of the craft world. What the hiring committee didn’t know was what Suzanne was like as a person. That too turned out to be something we needn’t have worried about. Suzanne, as anyone who has met her knows, is warm, charming, thoughtful, passionate, and highly intelligent. On a personal note, I’m grateful to be able to say that this writer and editor I didn’t know but admired, has become a close friend, and I thank her for the many thoughtful conversations marked by laughter that we’ve shared over the years. On behalf of the field, I thank her for her vision, her steady hand, her innovations and insights. We will all miss her presence at SNAG conferences and other events. We will think of her with gratitude whenever our copies of Metalsmith arrive at our doors. Working with Suzanne over the last 4 1/2 years has been a privilege and honor. Her support and point of view of Metalsmith and the field made the magazine the publication is it today. My wholehearted thanks to Suzanne for her many years of service to SNAG and Metalsmith. 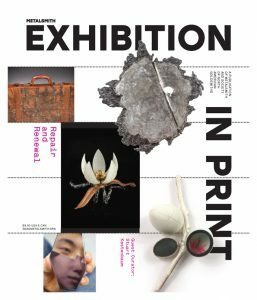 Exhibition in Print: Repair and Renewal showcases outstanding metal artworks by over 20 artists. 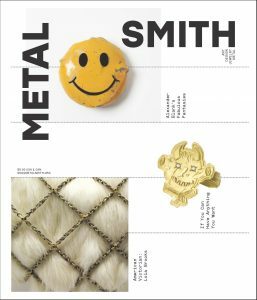 As an annual feature of Metalsmith magazine, the 2017 Exhibition in Print focuses on the metalwork tradition and the capacity for restoration by highlighting artists from across the United States as well as Germany, Belgium, and Finland. The exhibiting artists in this companion exhibition give renewed life to objects and materials through innovative art expression rooted in traditional metalsmithing mediums such as silver, copper, and gold, and nontraditional found objects such as horsehair, syringes, soap, and credit cards. Besides prolonging the life of the object, the act of repair also speaks to our yearning to make things right and to make things whole again. Curated by Stuart Kestenbaum, Maine’s poet laureate and an honorary fellow of the American Craft Council, Exhibition in Print: Repair and Renewal features jewelry, sculpture and non-traditional wearable objects by emerging and established metalsmithing professionals and exposes the public to a variety of techniques and mediums. Learn more about the Exhibition in Print publication.